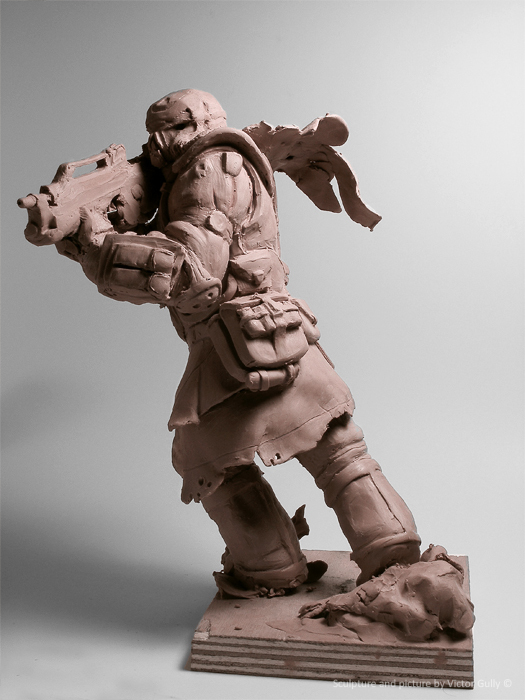 I did this sculpture in four hours and a half, after playing to Killzone 3. The pose is based on the game box’s cover. My goal wasn’t to finished it properly with all the details, texures, etc…bust just catch the dynamism of the pose . Sculpted in Chavant NSP Medium.